I have a question that might be dumb, but I would like to know how I could start videos on the headset if someone who can't use the controller is using the headset ? Some people are not very familiar with the navigation on the Oculus Go, and have trouble to use the controller. So I would like to know if t's possible to start the video from my phone or a tablet ? So the persone who is watching would just have to relax and watch. Is it possible ? Do I need to download an app ? Many thanks in advance for your answers ! And have a good day/night ! While this may not be directly what you were looking for, it may help to try using the Go's casting feature on your phone's Oculus app to help direct whomever you're showing off the Go headset to. 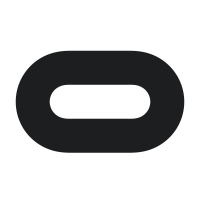 More information on how to use casting on the Go can be found here: https://support.oculus.com/1053142614872870/ Hopefully that helps any! I'm not sure if it's possible with the Go, but if you can have a wireless gamepad (xbox/ps4/switch controller) paired at the same time as the oculus go controller, you could set-up a keybind in the game engine that let's you press a button on the gamepad to start a video. It's the same as if you built a Vive/Rift PC VR app - if someone is having trouble, just smash the 'space bar' to move them along.